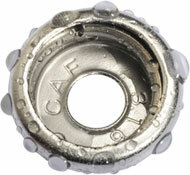 CAF-316 - the only truly seawater resistant normal press fastener or stud snap for covers, tent, or work wear. If you're a PROFESSIONAL or a RETAILER click the category-tab at the top of the page. RESISTANT even to SEA-WATER. Thanks to the high quality material of 316 Stainless Steel. 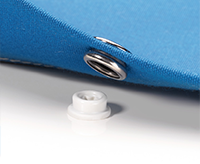 RELIABLE making sure the fasteners performance is stable over time and use, without deformation.